Welcome to a new way to understand Classical Music! This is a music appreciation website, amply stocked with resources tailored to the needs and abilities of individuals without formal music instruction. This site is offered for the convenience of students who have taken one or more of Lorenzo Mitchell’s courses, for Lorenzo’s private students, and for anyone who may be considering taking a future course. More generally, the information collected here can be used by all those who enjoy classical music to deepen their understanding and enjoyment when attending concerts or listening to recordings. Lorenzo Mitchell, a member of the Maine Music Teachers Association, has considerable experience leading non-musicians to a richer grasp of classical music. His approach is mostly melodic and structural, with only minimal reference to harmonic theory. 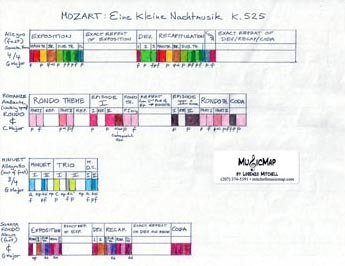 Mitchell has developed his unique Music Map System to help those who do not read music to easily see and follow the construction of a composition. Lorenzo Mitchell offers private music appreciation lessons and periodic courses at his home in Blue Hill, Maine. Watch this space for new course announcements! 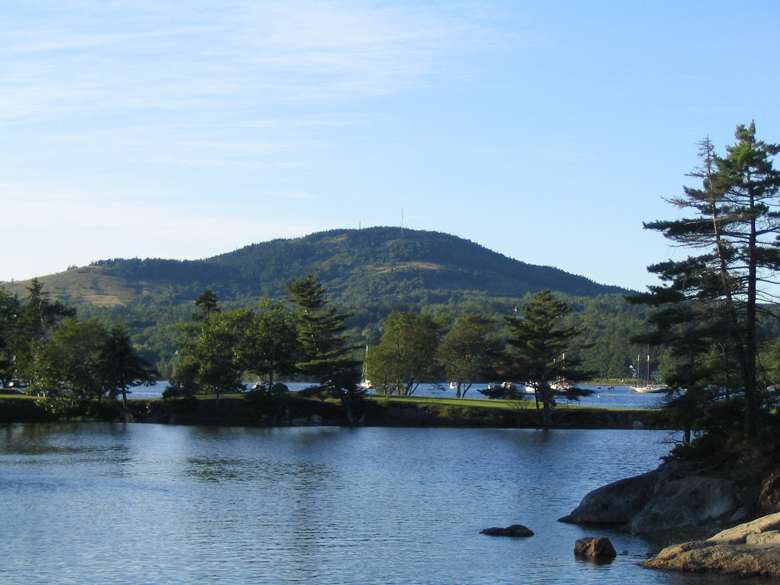 Blue Hill, Maine is a small, scenic, coastal town and a surprisingly bountiful, musical Mecca. In particular, world-class chamber music can be enjoyed here practically year round. In the summer, Blue Hill is the home of the venerable Kneisel Hall Chamber Music Festival, while the Blue Hill Concert Association offers outstanding performances from mid-winter through early spring. Another remarkable music resource in town is the Bagaduce Music Lending Library with its enormous collection of sheet music and scores. Also, it’s associated Bagaduce Chorale presents several choral music concerts each year. Along with Kneisel Hall, the summer music scene is further enriched by Blue Hill Bach and the Vanderkay Concert Series. Rounding out the sonic landscape is a bewildering variety of high quality popular music including Steel Drum (Flash in the Pans) dances and George Stevens Academy’s award-winning high school jazz program. For additional information on Blue Hill and the Blue Hill Peninsula, visit the Blue Hill Chamber of Commerce and the Blue Hill Public Library.